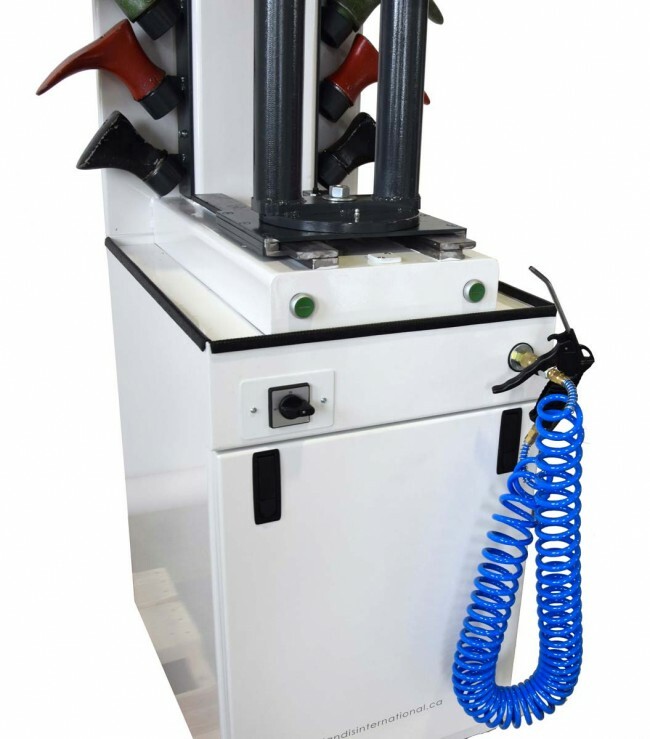 Landis Double Sole Press with two posts swivel base. 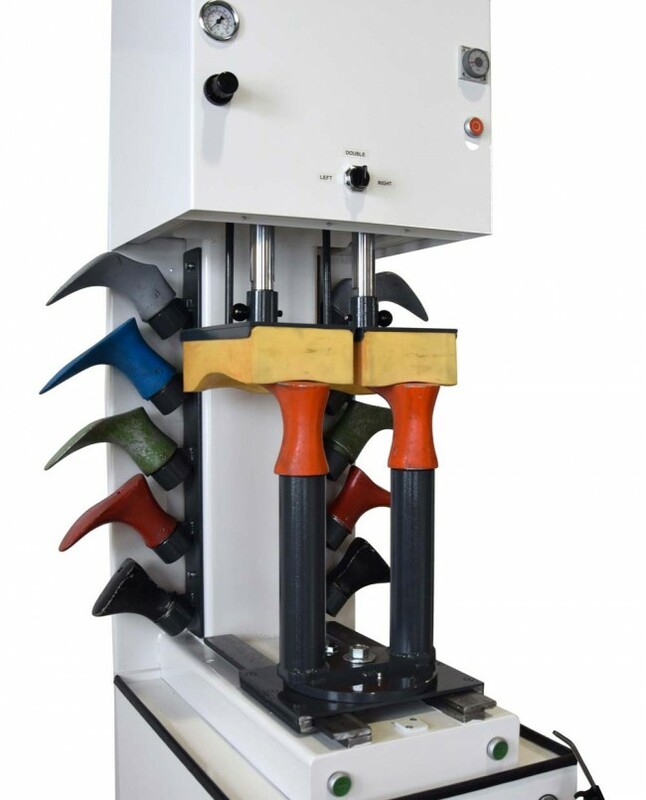 The Landis Double Sole Press included two posts swivel base can handle two shoes simultaneously. 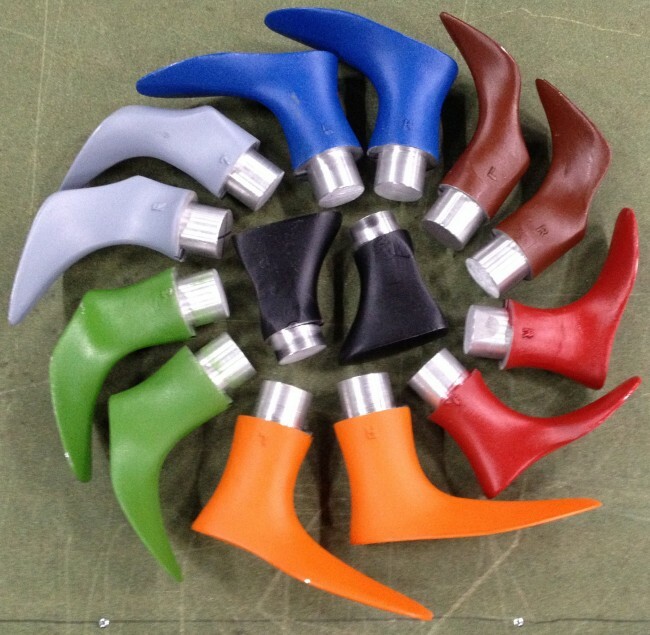 This means that shoemakers can effectively double their output without loss of valuable time. 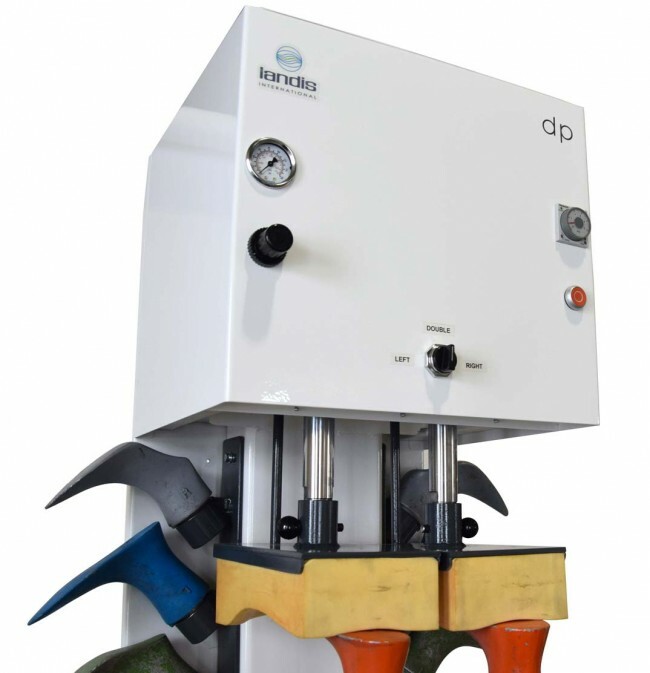 The Landis Double Sole Press is an indispensable element in any shop.